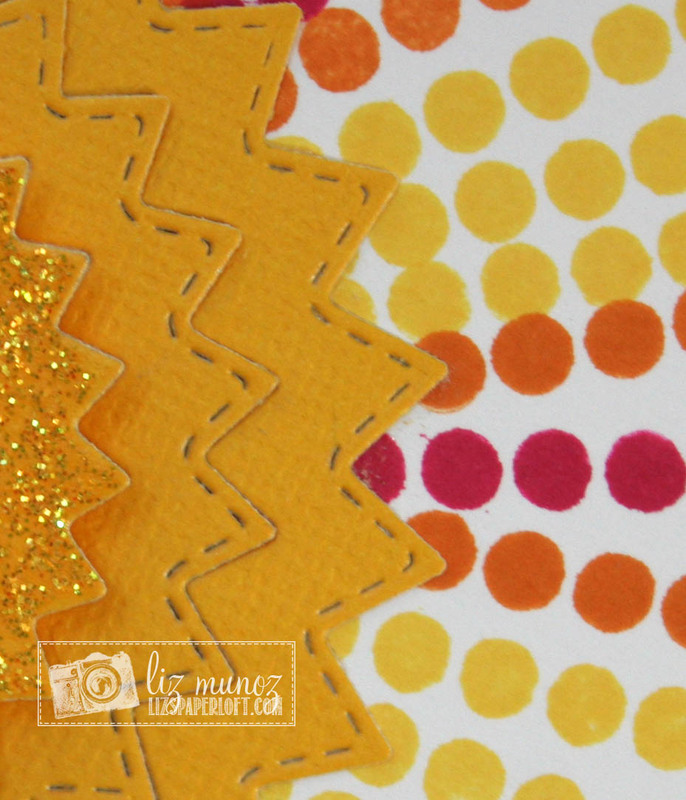 Liz's Paper Loft: MCT July Release Sneak Peek Day 1 ~ bright & sunny day! MCT July Release Sneak Peek Day 1 ~ bright & sunny day! I have been wanting this FOREVER!!! And now they're here!!! I found this fun dotted border stamp in one of the older Easter sets, Hello Spring stamp and die set. I thought it would be perfect for the sun rays. The sentiment is from Wishing You Were Here stamp and die set. 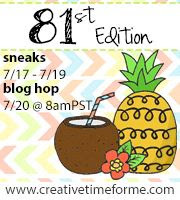 See you tomorrow with a new sneak peek! Wowzers! Super neat effect on your card! Wow! Such a bright idea! The sun rays are so colorful! Love your card! 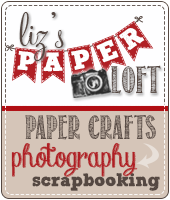 OMG Miss Liz your card is simply beautiful!! 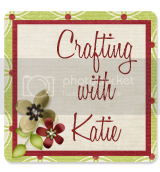 Love your starburst idea and using the dot border stamp for the added rays...thanks for sharing your awesome clever and creative ideas using these awesome new dies with Miss Emma's awesome oldie goodies...I'm so going to use your idea on a LO. Can't wait to get today's Sneak Peek. YOU SO ROCK!! Wow, now that's a starburst!!!! 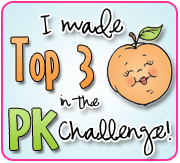 Well done, you totally rocked this out! Great card. Love the new set! Your dotted rays are just perfect with the sunbursts! Love the curved sentiment too! Beautiful like sunshine, Liz. Great project. Love how this is not centered on the card. Nice job, love how you used your dies and the colors are gr8t! WOW! your card is amazing it looks like it took a very long time, thanks for sharing how you did the rays, I thought for sure you placed those dots one at a time. Yay you didn't so we all can do that. Great Job!! Wow, that card is so gorgeous. Love the new dies. I just love your rays. 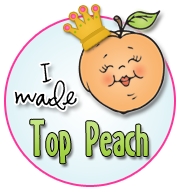 When I saw the card on the Emma's page I couldn't wait to see how you created it. Thank you for sharing. Love your beautiful card. Colors are so vibrant and warm, super fun card. Great job! Gorgeous card Liz! Love the sunburst of colors! Just when I think I've seen it all...this is so beautiful! I love the sun's rays and the rounded sentiment! Fun card, good outside the box thinking for the sun rays. 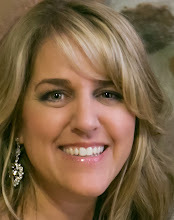 I love your sunburst card! The colors just scream summer! Just love how you stamped modern looking sun rays. liz, your card is fablulous, so bright and cheery, LOVE it! 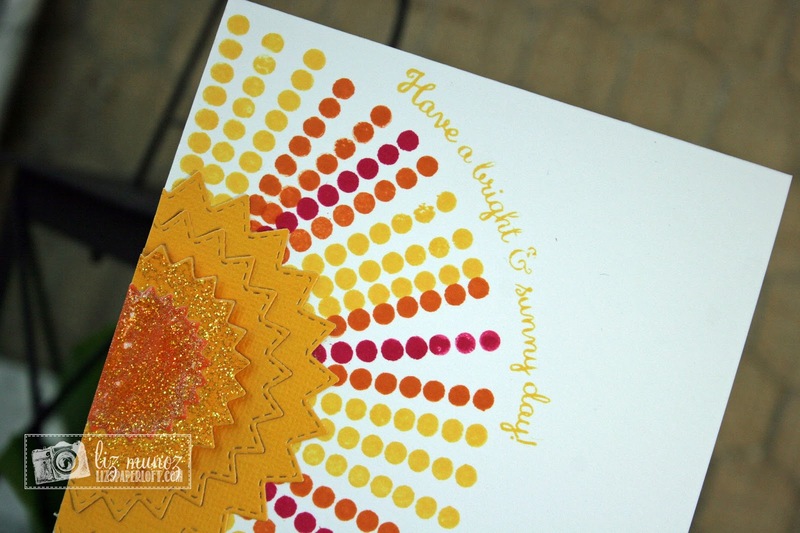 Wonderful job on your sunburst! I like the dots for the rays and all of the colors. Beautiful sparkle and bling for the center of the sun. Fabulous design and I like the sparkle. 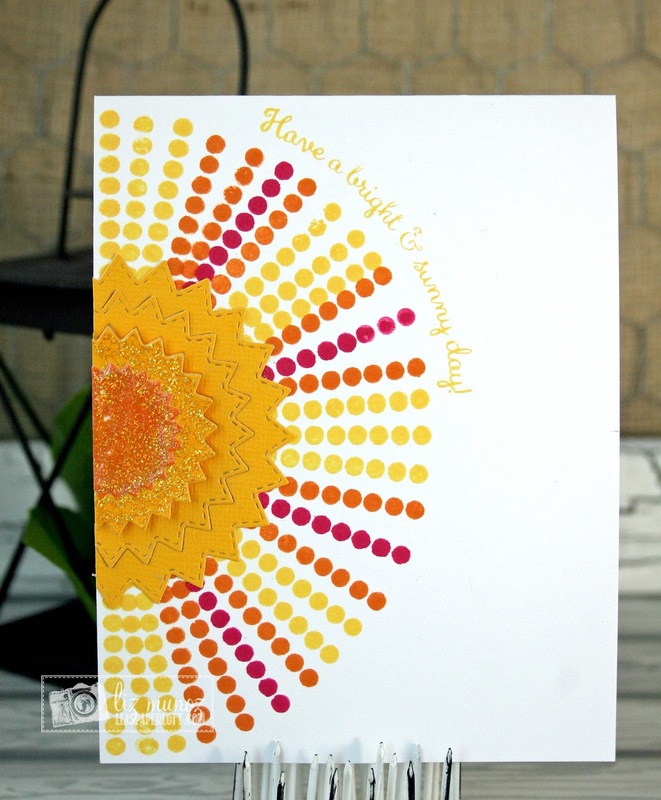 Love the bright and sunny card you created with the new dies and that fun stamp with the dots. This is such a radiant and pretty card! Brilliant card! :) Love the idea for the rays of your sub. Fabulous! Liz ~ this card is GORGEOUS! It not only makes me smile but truly happy! 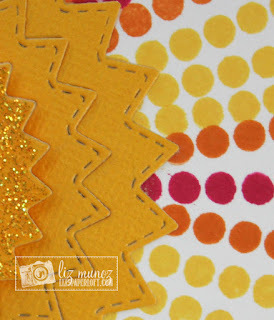 Such bright BEAUTIFUL colors and I just adore how you used the starburst dies!